I made my own detergent! You may remember that back in July 2009 I asked -“What do you use to clean your clothes?” In that post, I mentioned how much I really like Fels-Naptha bar soap as a pre-treater and the Duggar family – now “19 kids and counting” – use it to make their own homemade detergent. See the recipe in my earlier post HERE. 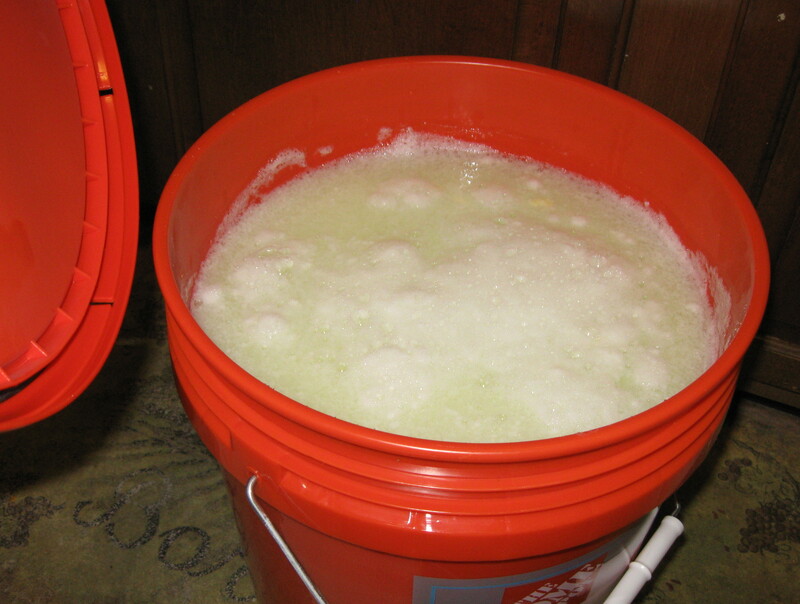 Back in October 2009, I did just that I made my own laundry detergent. I have plenty and still do of regular Purex, Tide and others that I purchased almost FREE or close to it but this idea of making my own sounded so appealing I had to try it. I prefer detergent without a scent especially for my little girls clothes. I’m amazed at how well this detergent works. It does have a strange consistency like most of the other bloggers have mentioned but it really does clean the clothes very well. My clothes and my daughters clothes come out very clean. My husband likes to work outside on our vehicles so I admit I do like to mix this with Tide or another strong detergent to get his work clothes clean. In fact, recently I took a large container that was almost empty of Tide and I added this detergent to it so I get the best of both worlds – cheap detergent with the plus of extra cleaners. I will use this detergent with bleach or Oxy-clean when needed. I have hard water so I admit that my whites aren’t “white” as I would like them to be. I’m going to try some Calgon – a water softener – to my wash that I bought from Big Lots for $4 about a 4 lb box. I will write about that later. 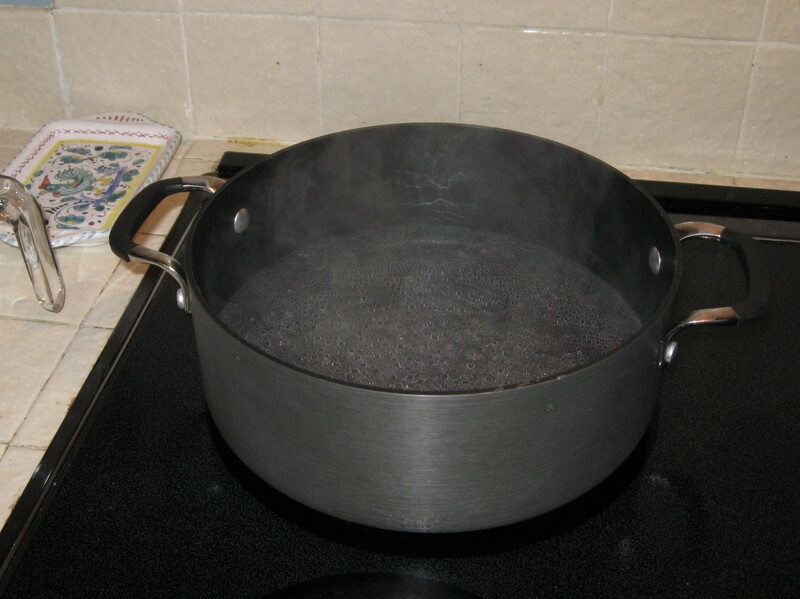 I used a large pot to boil the 4 cups of water. 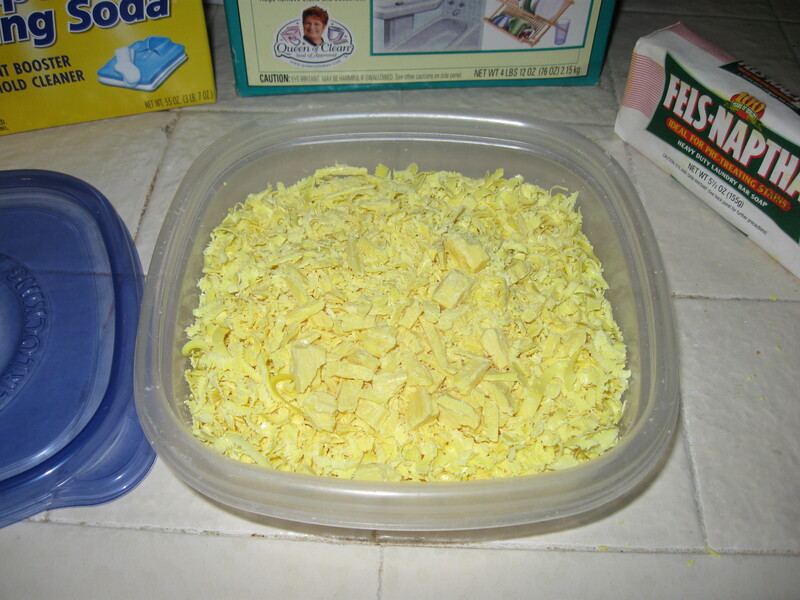 I grated the Fels-Naptha soap with a cheese grater. It worked perfectly! I estimate it took about 10 minutes max to complete. 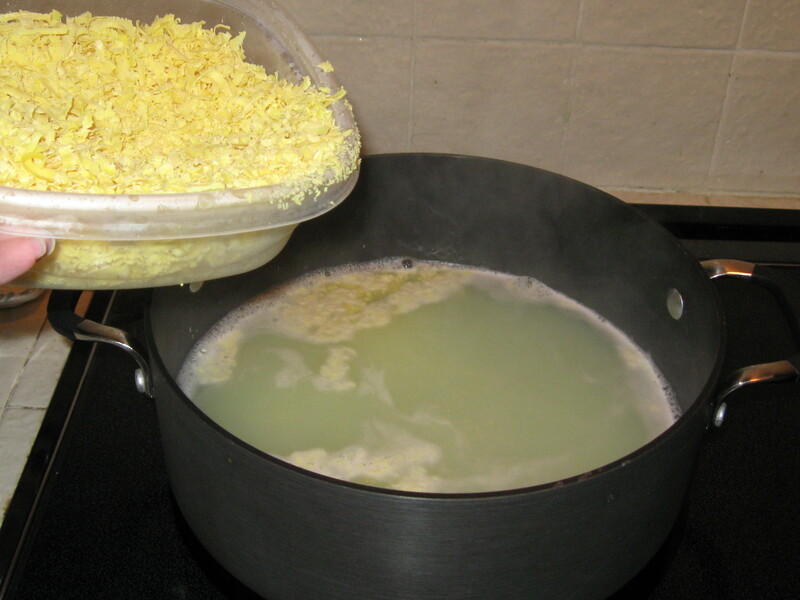 Slowly add the grated soap stir continually over medium-low heat until soap dissolves and is melted. Fill a 5 gallon bucket half full of hot tap water. 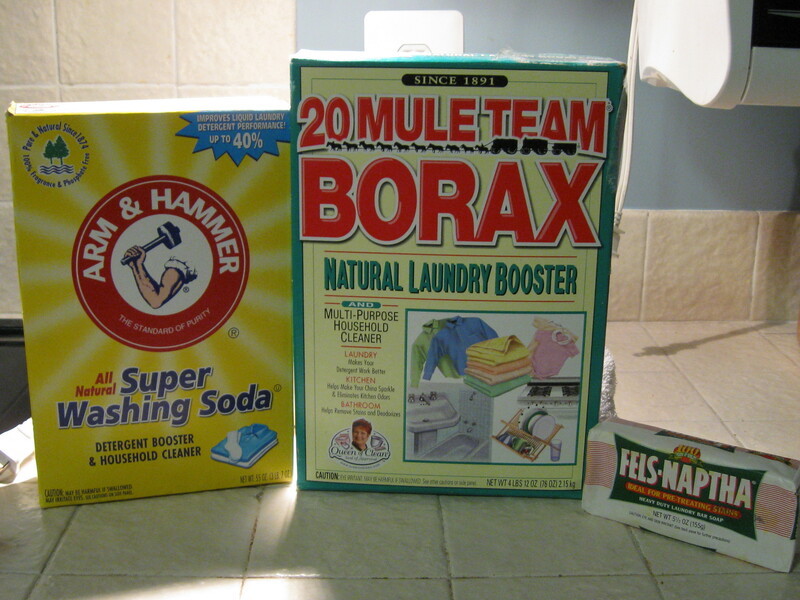 Add melted soap, washing soda, Borax and Salt. Stir well until all the powder is dissolved. Stir, cover and let sit overnight to thicken. This soap will have an interesting consistency it will gel and be liquid at the same time. Stir and fill a used, laundry soap dispenser. Shake before each use. Use about 1/2 a cup or laundry cap full per large load. Measure your laundry cap to see how much it holds. For heavily soiled clothes use some regular laundry detergent but only half the recommended amount and 1/2 a cup of this detergent and your clothes will come out very clean! I bought my supplies at local grocery stores. For approx. 1/2 a cup per load = 160 loads or $.02 a load! I am an affiliate with Amazon.com.